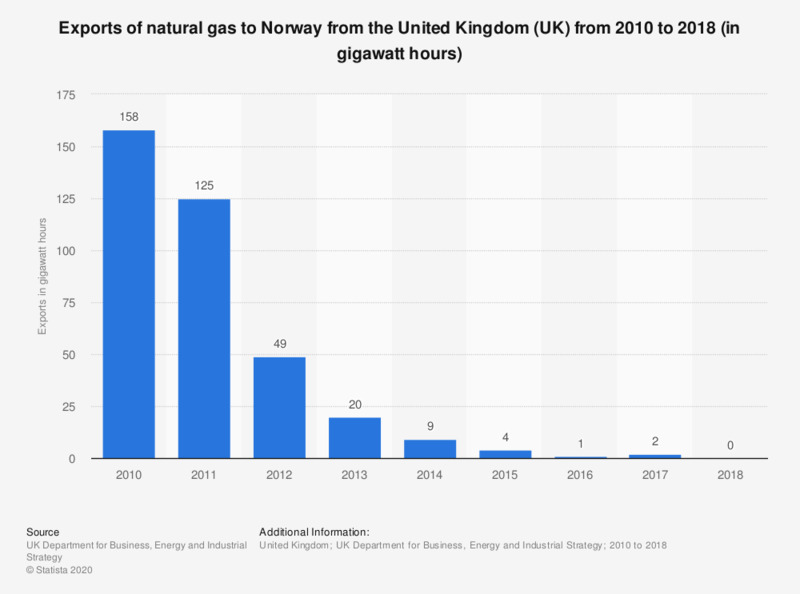 This statistic shows the exports of natural gas to Norway from the United Kingdom (UK) from 2010 to 2017, in gigawatt hours. The amount of natural gas exported decreased significantly over this period, from 158 gigawatt hours in 2010 to 1 gigawatt hours in 2016. According to the source, the data consists of exports of UK gas from the Blane field to the Norwegian Ula field for injection into the Ula reservoir.